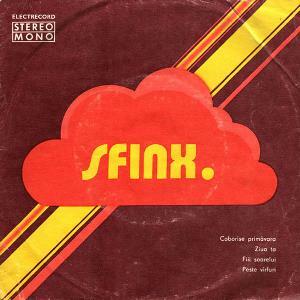 SFINX was founded in Bucharest in 1963 by Octav Zemlicka (lead guitar & vocals), Corneliu Bibi Ionescu (bass guitar) and Cristian Valica (drums), while they were still in high school; their main activity was playing gigs in various studentfests or summer seaside opportunities. Because of school attending problems various lineups can be counted in their early years, a habit that became constant; only one founding member was in the band when it broke into two new ones in 1994. The history of SFINX takes note of at least 16 bandmembers names. The major event for Sfinx was the Dan Andrei ALDEA's joining in 1967, at the time only a violin and guitar student at the music highshool, later to become singer and leader of the now recognised second-best ever Romanian rock group and to gain personal fame of musical genius. The band had a first large live audience succes in 1971 with the "Sir de cocori" song, which led them into writing the music for a film that was to be a masterpiece of Romanian cinematography, and consequently into long-term theatrical projects. In the end they managed to release the song as a single ("Sir de cocori / Languir me fais", 1972), then to release an EP ("Sfinx", 1974). Their first major hit was the "Lume Alba" ("White World") full album from 1975; it shows various progressive rock aspects from the likes of NEKTAR, ELP and FUZZY DUCK, with some hard guitar riffs. 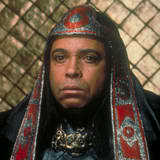 Their masterpiece was to be the 1978 released "Zalmoxe", a concept album based on the archaic mythology of the Dacians. It's a true progresive rock feast, with great keyboard parts, all in the mood of GENESIS or MICHAEL NYMAN but with a great original touch. The album consists of studio recorded excerpts from the original live prog-opera "Zalmoxe" set up by ALDEA; the regime never allowed the band to release the whole show as it was suspected to be politically subvsersive. 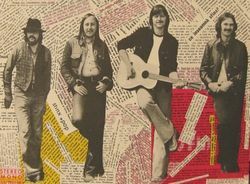 For the same reason, ALDEA's 1979 solo single was withdrawn from the stores, which led to his leaving into political exile in Germany after the band released two last singles in 1980 in the classic line-up . He never accepted the opportunity to reunite with Sfinx, even after the fall of Comunism. The band didn't give up and released a last full album in 1984, "Albumul albastru" ("The Blue Album"), more related to standard pop-rock then to progressive. The band still exists, but without any relevant public activity for over two decades now. 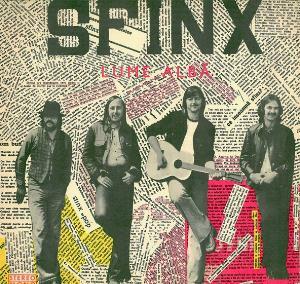 The ALDEA period of SFINX represents, together with PHOE...SFINX was founded in Bucharest in 1963 by Octav Zemlicka (lead guitar & vocals), Corneliu Bibi Ionescu (bass guitar) and Cristian Valica (drums), while they were still in high school; their main activity was playing gigs in various studentfests or summer seaside opportunities. Because of school attending problems various lineups can be counted in their early years, a habit that became constant; only one founding member was in the band when it broke into two new ones in 1994. The history of SFINX takes note of at least 16 bandmembers names. Wow, im very surprised from the amount of such positive reviews in this case. I have listened to this album many times and always have ended with mixed feelings. Its not a bad album, but i simply rarely hear some originality here (really only except sparse used Gregorian style chorals) and it leaves me always cold and uninterested. Its some kind of concept album with a bit of folky hints and traces of Balkan music (too few, a pity), but it fails to interest me to try to discover the story behind the music. 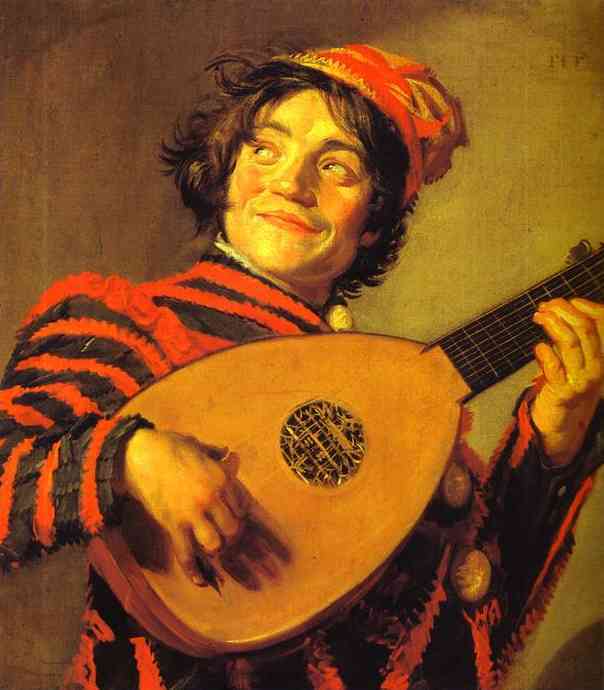 Musicianship is good, but nothing extraordinary happens here. Another major drawback for me is the dull recording production, very average guitar tone and overall dead sound. Yes, on the other side i understand that during brutal communist regime in that era its really nearly a miracle to hear such album from this country. I prefer their first album over this one and overall their colleagues Phoenix is a better choice for me. 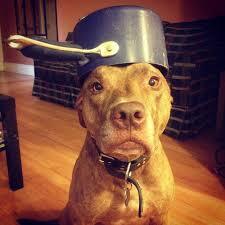 I have nothing to say more, 2 or max. 2,5 stars. 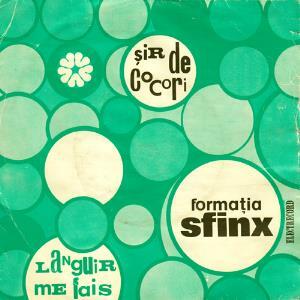 Sfinx came in life in Bucharest around 1963, found by three high school students and friends, drummer Cristian Valica, bassist Corneliu "Bibi" Ionescu and singer/guitarist Octav Zemlicka.Among their early members was also organist Idu Barbu, but the crucial point comes in 1967, when violin player and student Dan Andrei Aldea joined the band, he was destined to become the band's leader and an accomplished multi-instrumentalist.Several members would come and go over the span of the next 7-8 years, Sfinx'es fame though was on the rise, writing music for the film ''Nunta de piatra'' and releasing a first single in 1972.A second EP follows in 1974 at a time, when Ionescu and Aldea were surrounded by ex-Mondial drummer Mihai Cernea and a second guitarist, Dan Badulescu.Their ex-keyboardist Idu Barbu helped them during the recording sessions of their debut ''Lume alba'', which was released in 1975 on the Electrecord label. You shouldn't expect by a band from Romania, a country with limited tradition in Progressive Rock, to break new grounds, but Sfinx appeared to be more than just a talented band on ''Lume alba'', exploring music fields that were almost forbidden for other groups.They played a mix of straight Hard Rock with some supporting poppy tunes, but I also encounter lots of folky influences and spacey, Fusion touches in their sound.The standard-structured tracks are rather of limited interest for fans with no access to the Romanian language, containing lots of punchy guitars, catchy choruses and dynamic grooves, which are sometimes surrounded by discreet keyboard sounds.But there are also tracks in here that are surprisingly good and beyond their time regarding the Romanian Rock scene.For example ''Sinteza'' is powered by great electric solos and a marching rhythm section, accompanying some impressive Moog synth solos with a slight spacey underline or the title-track, which sounds extremely trippy with its wordless vocals, background bass lines and soaring synth lines. ''Muntele'' is very interesting as well, some of the guitar parts recall KING CRIMSON at their mid-period, the Hard Rock leads are still in evidence, but the semi-symphonic synths, the powerful breaks and the changing climates add a personal aura in this piece. ''Calatorul si copacul'', the opening track is a nice attempt in Folk/Pop with great violin work by Aldea, while the swansong of the album, ''Om bun'', is a beautiful piece of archaic Prog Folk with a slight Medieval atmosphere, featuring poetic voices, traditional flute lines and light bass work. That's what should be called Art Rock.Not groundbreaking by any means, however ''Lume alba'' remains a hidden gem of versatile Eastern-European Rock music with multilpe influences, likely to satisfy all lovers of flexible listenings.Recommended. 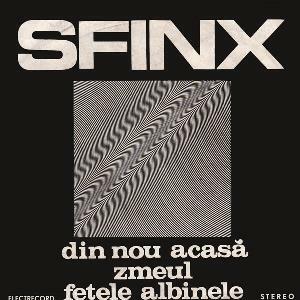 SFINX began all the way back in 1963 in Bucharest but wouldn't release their first album until 1975 and is one of the few Romanian progressive bands i've ever come across. This second album ZALMOXE is a concept album based on the lyrics of poet Alexandru Basarab which retold the story of Zalmoxis's existence. Zalmoxis, you may be wondering, is a divinity of the Getae (a tribe of the lower Danube) mentioned by Herodotus in his Histories IV, 93-96. I had to look this up so if you want more info I advise you to do the same! Unfortunately the album was ready for market shorty after their first release LUME ALBA in 1975 but due to political censorship by the Communist regime, the album was delayed 3 years and half of it scrapped. The original intent was to have a double album. Once finally released the album was a huge hit in their native homeland but has remained a bit obscure everywhere else. The lyrics are totally in Romanian. This is one that I wish I could understand because it sounds like an interesting concept that warrants comprehension of the story. As for the music itself, it is eclectic but has a very symphonic sound. It is always dramatic and melodic. To me it sounds like it is most closely akin to symphonic Italian prog like PFM especially in Dan Andrei Aldea's vocal department with the rest of the band harmonizing. He is also the guitarist and plays some great heavy prog sounds with the guitar. Some of the more pastoral moments can bring Genesis to mind as well. Nicole Enache's keyboards can be bombastic like in ELP but most often not and band members always complement the other instruments so any one particular member never steals the show for long. At times the keyboards have a new wave repetitive synth approach. There are long drawn out symphonic parts and there are energetic bursts of energy strewn about. Drummer Mihai Cernea keeps the rock in the prog and surely deserves a mention here. Perhaps the biggest surprise is that there seems to be no Romanian folk music influences whatsoever. Overall I really like this album. It's not quite up to masterpiece level. I am left wondering if the original double-album would bring this altogether a bit better. It sounds like things may have been clipped somewhat haphazardly but also the quality sounds very good like something greater once existed. I am left admiring this album for what is but wishing it could have been what it was intended to be. A couple years ago, my good friend Szolt Enyedi (Keyboardist of YESTERDAYS), sent me a collection of his favourite Romanian albums,. and among this "Zalmoxe" with an special recommendation. 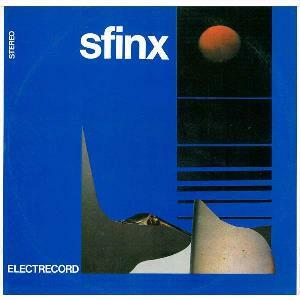 So heard it and was fascinating, but in those days SFINX wasn't inckluded in Prog Archives, so wasn't able to review it. The years passed and after adding TABULA SMARAGDINA from Hungary, "Zalmoxe" was mentioned in the thread, checked it and I forgot to write a review, so immediately took my CD, placed in the computer and decided to write a review that made some justice to this excellent album that defines the essence of what Eclectic Prog means. "Zalmoxe" is opened with the breathtaking blend of Baroque and quasi Gregorian introduction of "Ursitoarele" (Fortune Tellers), but after some seconds this changes radically into a fluid Symphonic - Heavy Prog song with multiple changes and amazing guitar riffs. This guys don't save anything for the end, they give 110% from the start. "Blana de Urs" (Bear's Fur) starts with a long introductory section that morphs into an organ driven passage that reminds me almost immediately of YES. In this case the drumming and bass are outstanding, complementing perfectly the creative work of Guitar, Keyboard and vocals, just delightful. But that's not all, the song morphs again into some sort of Classic Rock with strong keyboards that seems simple, but it's quite interesting. "Mierea" (The Honey) reminds me of 1970's releases by Argentinean bands such as SERU GIRAM or SUI GENERIS, because of the way they make an elaborate song seem so simple and fluid,. almost as a soft ballad, but in this case with surprising fugues of keyboard. 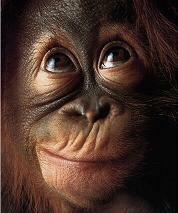 Beautiful and interesting. It's sad to listen this great music and not be able to understand the lyrics (Don't know a word of Romanian), but he beauty and naive complexity of their music makes me care very little about this, and Pestera is a great example, when I listen the 2:00 minutes instrumental break with a sound that seems as a native wind instrument and lush keyboards, I forget about any linguistic problem and can only concentrate in the heartbreaking music. "Epifania" (Epiphany) is another soft and gentle Ballad that seems to flow gently from start to end without surprises, but nothing so far from truth, when you less expect, a dramatic change or a lush keyboard impromptu makes the listener remember that we are before a Progressive Rock band and that we must expect the unexpected. "Furtuna cu Trup de Balour" (Dragon Shaped Storm) marks a break point in the album, if the previous songs were soft, gentle and melodic, "Furtuna" is frenetic and even heavy, with one of the ,most unusual structures I heard. Even when this guys rock, they do it in an original way, special mention to the organs sections that give extra brilliance to an already excellent song. "Cãlãtorul Prin Nori" (Cloud Traveller) is a strange mix between ethnic sounds, electronic music and a bit of VANGELIS, but as the song advances the Folk component takes the first role with it's nostalgic and warm atmosphere, while "Corneliu Bibi Ionescu" in the bass and "Mihai Cernea" in the drums give a touch of mystery that seem to lead to an explosion of sounds that never comes, keeping the audience in suspense. Brilliant structure. "Kogaion" with it's extraordinary vocal work between haunting Monastery choirs and QUEEN at it's best (For God's sake even "Dan Andrei Aldea" with his guitar sounds close to Brian May), the track is always in crescendo, until they reach a point in which suddenly stops, a great preparation for the grand finale. "Epilog" (Epilogue) closes the album with another unusual combination of sounds, styles and moods, that go from vocal and fluid to dark and mysterious, a bit short maybe, but good closer. The version I received has four more tracks, but those who know me are aware that I never review bonus tracks despite their quality, because in my opinion an album must be listened in the way the author originally released it. "Zalmoxe" is another reason of why I'm so obsessed with Eastern Europe Prog, their versatility, the new sounds that come from their own native sounds and the dexterity of the musicians, make me love the music from this part of the world more and more. Not a perfect masterpiece, but extremely close to this status, so any rating bellow 4 stars would be absolutely unfair. This album turned out to be everything I read it would be and more – what an outstanding piece of seventies prog! Romanians may be familiar with Sfinx, but for guys like me on the other side of the world this is a band and a record that is a delight to discover even more than thirty years after its release. I suppose the band may rate a ‘progressive folk’ label based on the lyrical theme of this album, or perhaps thanks to a few lighter and somewhat pastoral tunes on the record such as “Mierea” or the ambient and heavily synthesized “Cãlãtorul prin nori”; not sure. In reality though this could easily be considered a symphonic rock band with their extensive use of keyboards, tight electric guitar riffs and regular rock-opera, swelling arrangements reminiscent of the American art rock band Styx circa the same timeframe (listen to “Kogaion” and tell me you don’t hear “Mr. Roboto”, or a viber similar to “Fooling Yourself” on “Blana De Urs”). These are not ripoffs or tributes though, but rather a quartet of dedicated musicians half a world away from the rock arenas of North America, discovering their own sound and apparently in spirited competition with countrymen Phoenix for the hearts and minds of adventurous music lovers in Communist-era Romania. This was originally supposed to be released in 1975 and was also supposed to be a double album, but thanks to government bureaucracy and censorship was reduced to just forty-two minutes (plus a few bonus tracks on the reissue). Not that I’m complaining; the music that made it to release is top-notch as the band relates the life story of Greek cult figure Zalmoxis as told in the lyrics of Romanian poet Adrian Hoajă. I’m sure the storyline enhances the appeal of the album for native speakers, but I’m quite impressed simply by the quality of the music without even knowing more than just the theme of the songs themselves. Like I said, if you were into seventies arena art-rock bands like Styx, the Nice or even ELO you should find this album appealing. At times it’s heavier and more proggy than those bands though, who tend to be known as more commercial (and rightfully so). Sfinx take their craft a bit more seriously I think, as evidenced in the wickedly heavy instrumental (guitar/keyboards) dirge “Kogaion” or the spacey “Calatorul Prin Nori” (the traveler through clouds). That latter one has a few issues with the production quality, which in general is good on the album but uneven in just a few spots. I really wonder what the other disc’s worth of music that was cut from this record sounded like. One can imagine a true rock opera with deep forays into synthesizer and guitar riffs stretching out over well over an hour; perhaps someday the suppressed tapes will be reunited with this music and a proper reissue can be made. In the meantime, check out this four-star genuine prog rock gem. Highly recommended for prog folk, symphonic rock and art rock fans in general. Well worth a listen. Excellent start for a band from Romania! My father bought the vinyl when I was a little kid. It was my first contact with a progressive band ever! Dan Andrei Aldea, also called The orchestra-man, the frontman and the main composer really introduced the concept of progressive music in the band. We've got a splendid intro called Rasarit (translated Sunrise), than the album begins with the track Calatorul si copacul which is a little modest, but what follows is really and truerly progressive. Secolul Vitezei (Speed Century) and the excellent instrumental track Sinteze (Synthesis): remarkable is here the Moog sounds who are very clear and the drum section. Corneliu Bibi-Ionescu plays on Bib-synthesiser, designed by himself. Lume Alba (White World) is an excellent instrumental-electronic track very similar to anything from T.Dream. Muntele (The Mountain) is another great track, showing a band who really put the steps forward. There is speed in rhythms, harmony, great lyrics.... The album ends with Om bun (Kind Man), showing another face of the band. The flute and the voice of Aldea show a balladesque tone similar to some Camel compositions. Recommended for any progressive music lover! 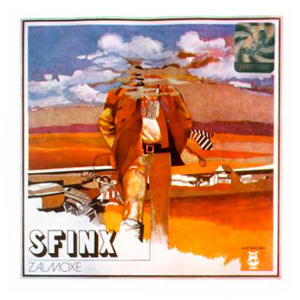 Sfinx this amazing band from Romania who recorded a gem of an album named Zalmoxe. Zalmoxe is a concept album based on the historical figure "Zalmoxe", who was a divine religious leader under the rule of the king Burebista. 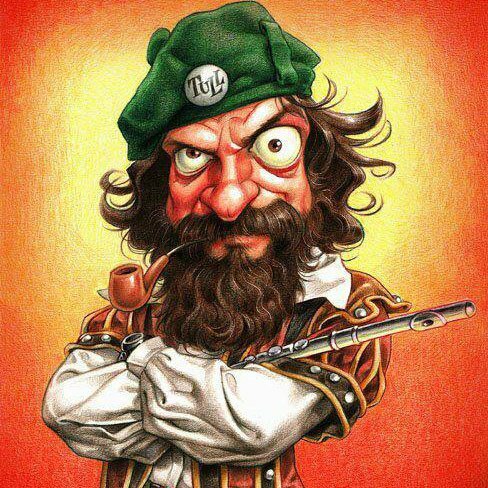 Zalmoxe is symphonic prog lovers buffet. This is a truly masterpiece of prog music, with vintage keys and great lyrics, in fact the keyboards got the prominent role here. Sometimes remaind me to Genesis , specialy on Din nou acasa. Worth every minute of this album, and for sure one of the best of late '70. Highly recommended album. Yes, finally i put my hand on one of the most amazing albums of the '70. To describe in a few words this masterpiece is not an easy task, but i will try. From the firs notes of the album you realised is a damn good one a folk prog at the highest level, combined perfect with some symphonic parts and truly solid keys through the album. The sounds of the keys is the cherry on the cake, and every one who loves prog music must have this one. All tracks are good. I will give to Zalmoxe 5 stars without hesitation. Highly recommended. 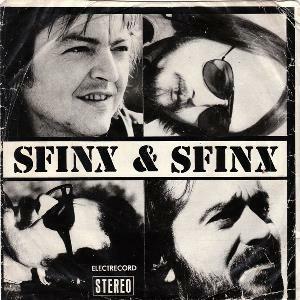 For many years i want to wrote a review about Sfinx, because is a band from my country Romania, and second because is a true prog band from the '70. It's a shame they don't hit the big time in Europe, because in that days the comunists were all over in the eastern Europe. They have some problems with , i might say freedom of speach, but with all that they have many fans around the country. So most of prog lovers don't know this band, it's a shame, a magnific prog band, in my humble opinion they play fiew times in Europe, recieving good reviews in that time. This album, is a masterpice, worth listen every track. Beautiful keys, some of them with a touch of Genesis, in my opinion, but not a copy. Some forte tracks are Calatorul prin nori (cloud traveller) and Din nou acasã (Home Again). 5 stars for sure. Highly recommended album. This album along with Cantafabule of Phoenix is the best Romania ever delivered in prog music. And for sure better than many well known prog albums, it deserve to be where it belongs, in the top of prog music. When my mother told me that she plans to go to Romania to discover the unknown, I took a quick browse on the Internet, and I gave her the list of Romanian prog bands that I was able to find on web. Two weeks later she came back with loads of souvenirs, Dracula T-shirt, few Romanian recorders and small flutes and a yellow cassette. ...and didn't move or breathe for next 45 minutes. What can I say about this gem? It sounds like these guys came out of nowhere, reinventing the music and making an album that can't be compared to anything, because it's so unique. There are quite a few multilayered vocals, based on orthodox monastery prayers. Somehow that reminds me of QUEEN, rather than URIAH HEEP or GENTLE GIANT. Electric guitar is doing some nice job here and there, but the keyboards got the prominent role. You can here some nice odd time signature sequences (based on the Balkan music) that reminds me of LEB I SOL or perhaps AREA's synth solos (only not so raw) and calm pads surrounding the vocals. These pads are the reason why this album sounds ahead of its time, really, it sounds like a mixture of symphonic keyboard oriented rock and ballads that could perfectly fit in a role of any of the 1980's world soccer championship anthems. But don't get me wrong, this formula works fine, because every moment you can expect a cross fade between ballad part and some absolutely insane sounds. Production is fine, sounds quite polished (in a good way). Again, what can I say... I'm hesitating to give this album five stars because of occasional inconsistencies (some tracks are not weaker, they're just less enjoyable), and because some tracks could've been more developed. Actually, they are developed enough, but in which direction? This album is so strange, and so hard to rate. I guess you can easily call it a masterpiece, or dislike it...but definitely well worth giving a try.